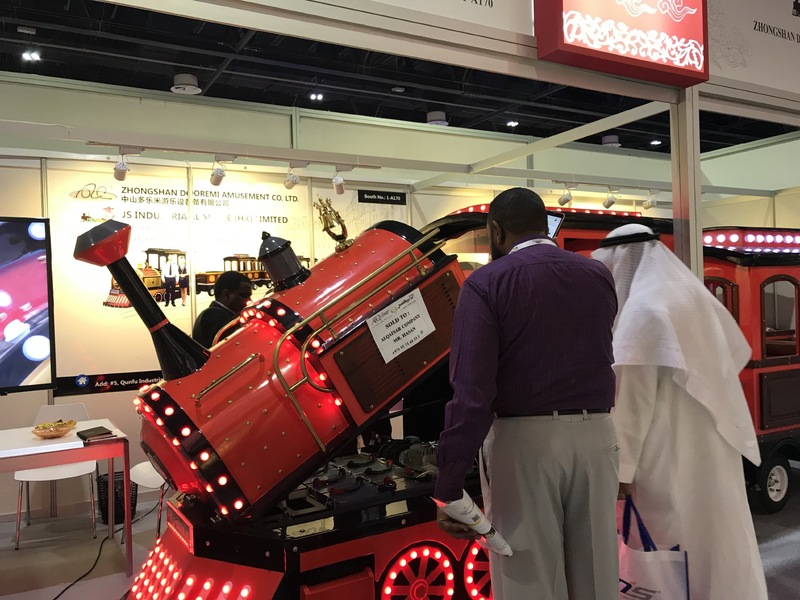 Dubai DEAL SHOW is the largest exhibition in the entertainment industry in the Middle East and Africa and one of the most influential professional exhibitions in the region. 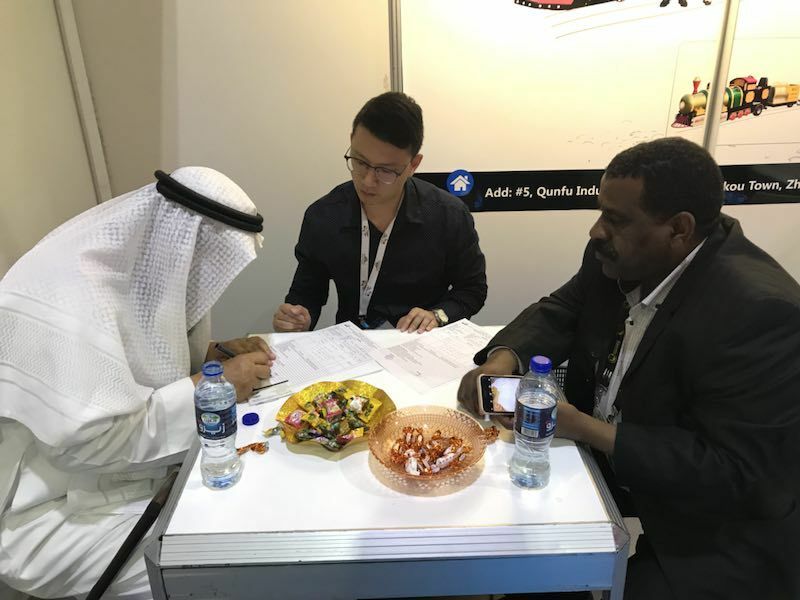 Since its founding in 1995, Dubai DEAL SHOW has been successfully held for 24 sessions, which has continuously promoted the growth of the entertainment and entertainment industry in Dubai. This year is our second time to participate in the Dubai Amusement Show. We are constantly striving to upgrade and upgrade our products. 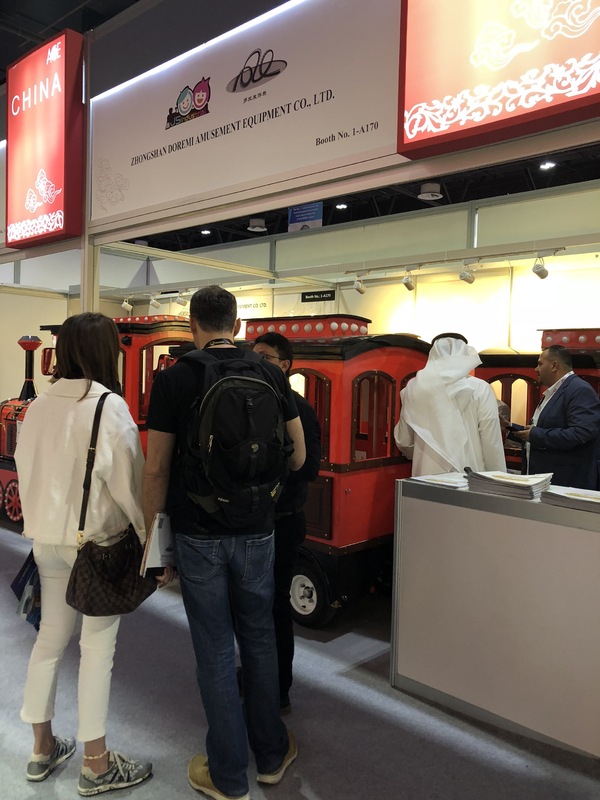 At this exhibition, we brought a new type of trackless train, exquisite FRP technology, excellent quality and thoughtful design, which have been well received by new and old customers. Compared with last year, we have a group of old customers this year, and we have received a batch of new customer support. The atmosphere at the exhibition site is better than in previous years.